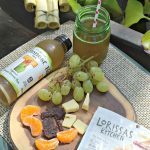 This post contains Hello Fresh affiliate links. If you click on a link and make a purchase, I earn a small commission. Thanks! Happy Friday, everyone! 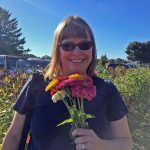 Today my blogging friend, Carrie of Curly Crafty Mom, and I are sharing our Currently posts. In our Currently posts, we share a little bit about what’s currently going on in our lives. My family and I have been been enjoying meals from Hello Fresh. 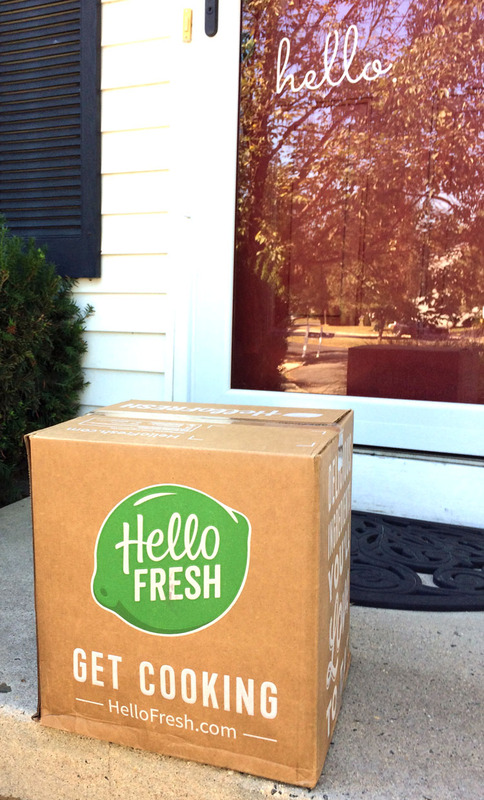 Hello Fresh is a a fresh grocery delivery service. 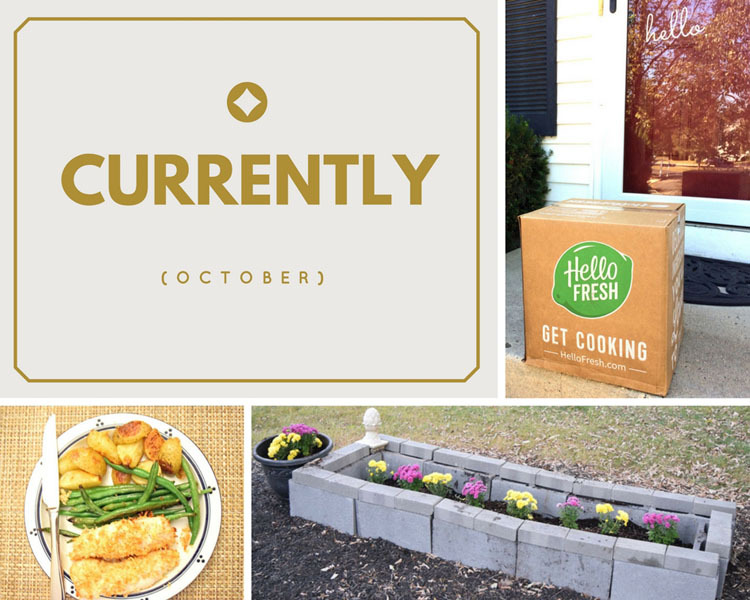 Through Hello Fresh, I have the ingredients and recipes for homemade meals sent straight to my door. (If you would like to try Hello Fresh, try my affiliate link to get $20 off your first box of Hello Fresh! My family and I got our first Hello Fresh box last week. 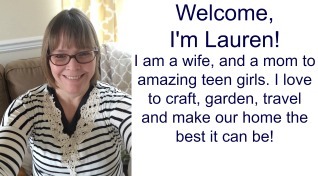 (My friend Carrie of Curly Crafty Mom gifted me the box!) 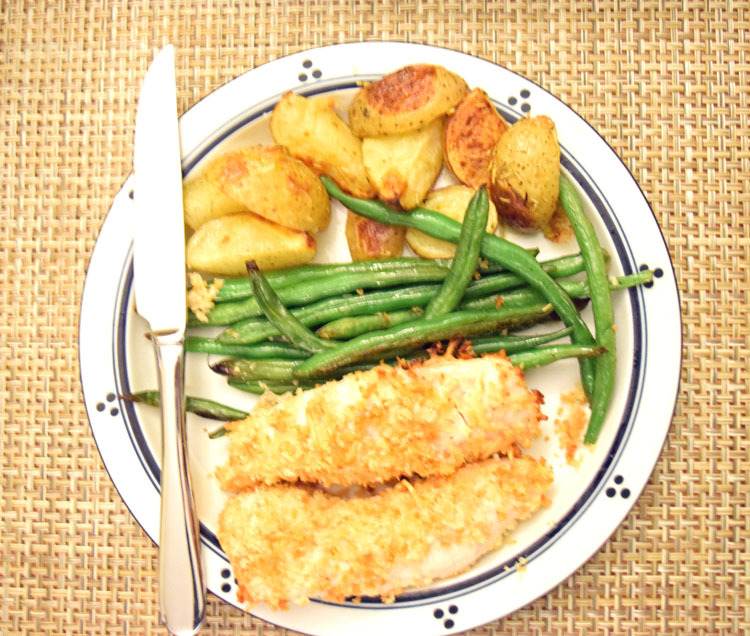 One of the meals I was sent to prepare was chicken tenders with green beans and rosemary potatoes. The box contained everything I needed for this meal. My family loved this meal! In the box were also the ingredients for a delicious mustard and honey dipping sauce for the chicken tenders that my family really enjoyed. This is what the meal looked like after I prepared it. 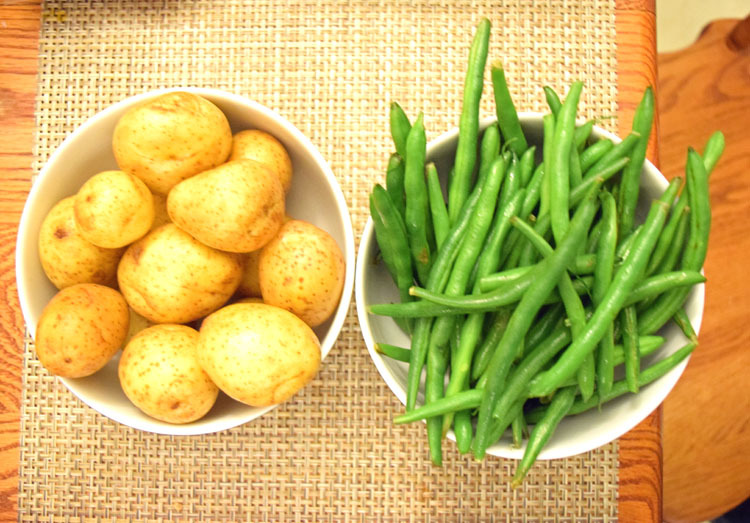 We enjoyed the potatoes so much that I made them another night. I hope to make this entire meal for my family again soon — the Hello Fresh box includes the recipe cards for the meals it contains. I’ve been trying to limit my portions, but this meal was so good that I had to have seconds! 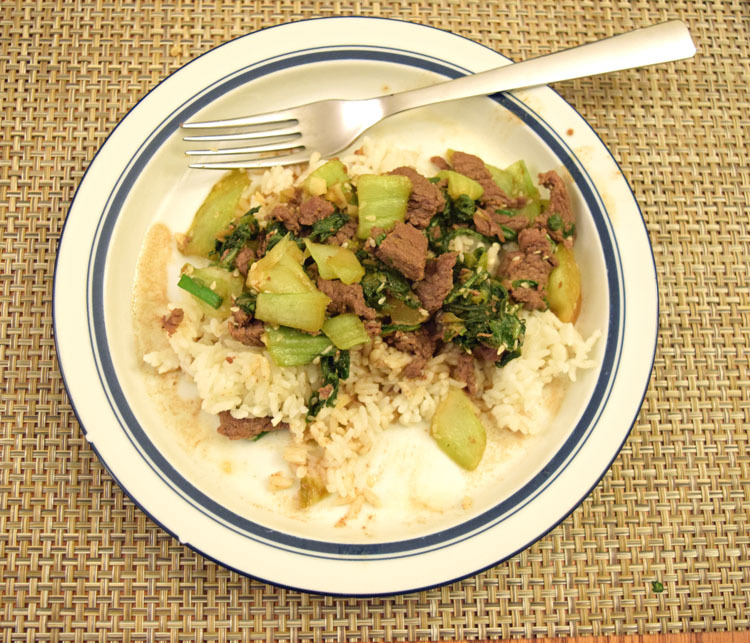 The other meal I made from my Hello Fresh box was hoisin beef. This meal was really good, too! I like how easy this dish was to prepare. 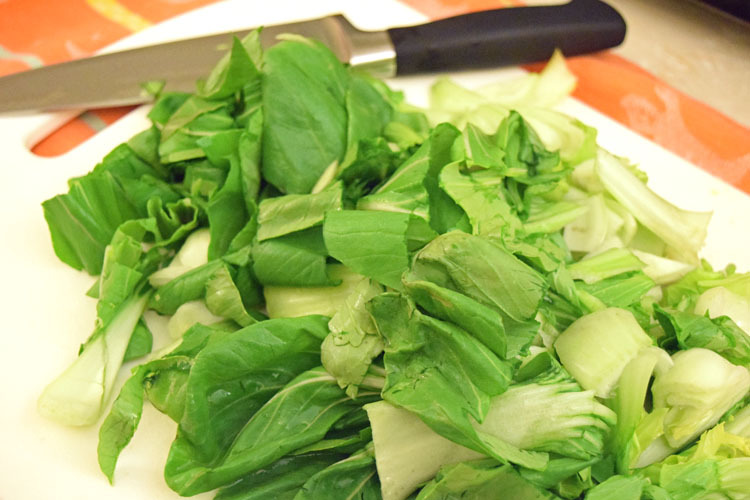 The dish was filled with lots of fresh and delicious bok choy, ginger and garlic. I simply chopped the bok choy for this dish. Besides eating well, I’ve been trying be be more physically active. I’ve been taking 2 mile walks a few times a week. I’ve also been working in some projects around the house to up my physical activity. 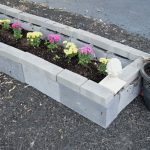 Last week I put together a quick and simple DIY raised garden bed in my front yard for some mums. I like the color that the new garden bed adds to my home’s front yard! 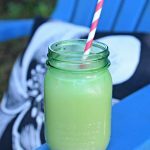 Carrie of Curly Crafty Mom is sharing her Currently post today, too! 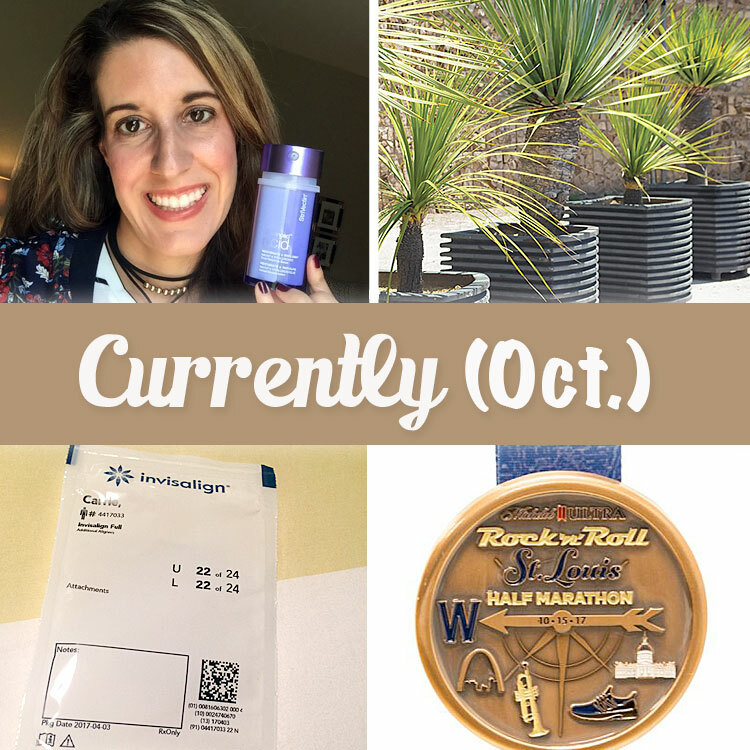 Stop by her blog to see what she has been up to! 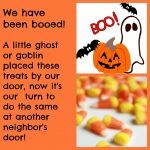 Time to “Boo” the Neighbors! I just love getting Hello Fresh every so often! It really helps me out when I’m drawing a blank on what to make for dinner. Your meals looked so good and fresh! 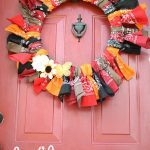 I also just love your front door, it is so cheerful! 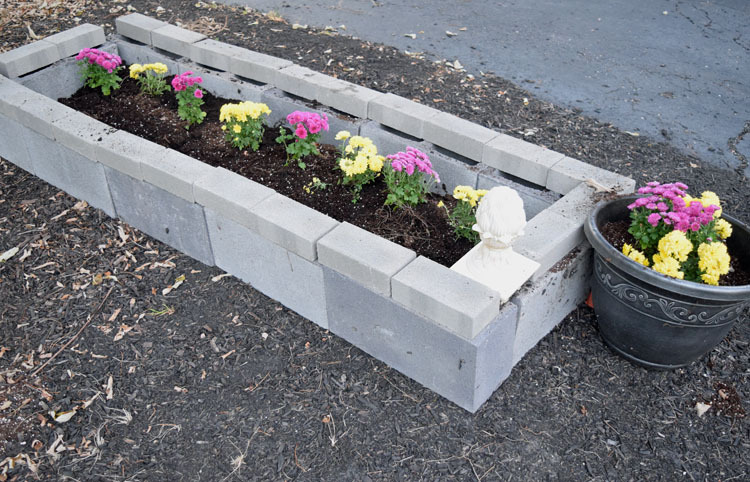 Your planter is so pretty.